Through This Darkness To The Break Of The Day. I’ve driven past this tunnel countless times but only ever stopped once. 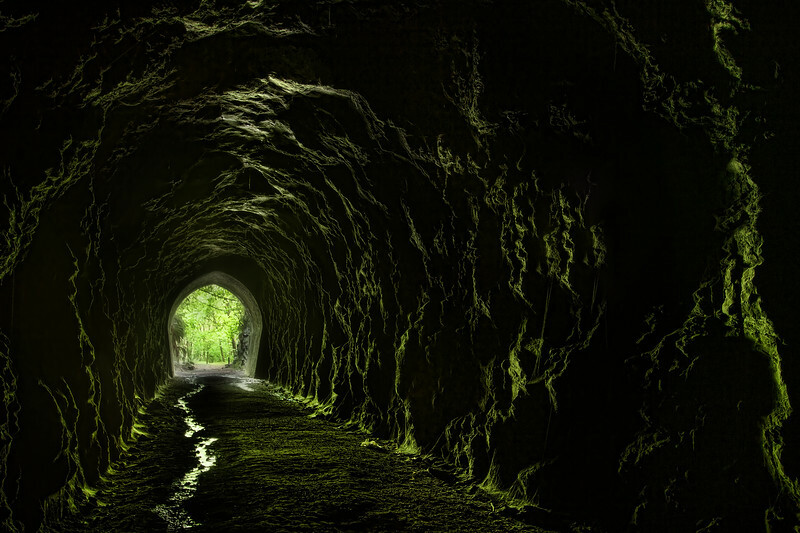 It’s in the Manuka Gorge on the way to Lawrence and Central Otago and is known as the Mount Stuart Tunnel. It’s an amazing 442 meters long and dates back to the 1870’s. Both entrances are surrounded by a lovely bush that gives a beautiful green glow that bounces off the wall’s and the trickle of water on the ground. It’s really worth the stop Trish. A nice bush walk with a decent tunnel to explore at the end of it and it won’t take all day either.